If you think of Moscow as a drab communist capital, think again. These days it shows off its new riches with world-class restaurants, an exuberant nightlife where the vodka flows continually, and fancy cars everywhere you look. The city also has culture and history galore, with plenty of reminders of the long reign of the czars, the Revolution of 1917, and the world-renowned Bolshoi Ballet; if you have a literary bent, check out attractions focusing on such Russian giants as Boris Pasternak, Fyodor Dostoyevsky, and Leo Tolstoy. The calendar might say it's spring in April, but in Moscow, it feels a lot like winter in other parts of the world. Although the average daily high temperature starts at 42 degrees Fahrenheit toward the beginning of April, it climbs to 59 degrees by the end of the month; similarly, the nighttime average lows increase from 28 to 40 degrees Fahrenheit as April progresses. As a result, you won't be uncomfortably cold, but it also won't feel quite like spring in you're visiting Moscow in April. Much of the city experiences cloudy weather about half of the month, which increases the chill factor. Precipitation can come as snow, rain mixed with snow, or just rain, but the chance of snow falls to virtually none by the end of the month. The good news is it is not a terribly wet month despite the many cloudy days. Unless you hit an unusually warm period, afternoon temperatures will top out in the 40s and 50s, which means you'll need a coat on most days in April; a peacoat, lined trench coat, or medium-weight winter jacket should do the trick, but a trench coat or jacket with a hood has the added bonus of being good in the rain. However, if the coat you take does not have a hood, you should also pack an umbrella or hat for rainy days. You should also take jeans, cotton or cashmere pullover sweaters, and long-sleeved tops to layer with your outerwear; a long scarf adds warmth without taking up much room in your bag and is a useful layering piece. Comfortable ankle boots are great for sightseeing while other closed and supportive shoes are also a good choice for traveling this time of year, but you'll want to bring plenty of socks in case they get wet during your travels. While April isn't the busiest month of the year in terms of annual events, there are still plenty of exciting festivals, parties, and religious celebrations held throughout the month in Moscow. From Cosmonautics Day on April 12 to month-long observations of the Easter holiday (on years when Easter is observed in April), there are plenty of exciting ways you can immerse yourself in the history, culture, and people of Moscow during your trip this month. If the weather proves to be too chilly for sightseeing, it's a great chance to spend some time in several of Moscow's many museums and partake of cultural opportunities like the Bolshoi Ballet. If you want to enjoy the spring weather, visit Sparrow Hills for views of Moscow or Patriarch's Ponds, where Mikhail Bulgakov sets the opening scene of his novel "Master and Margarita." 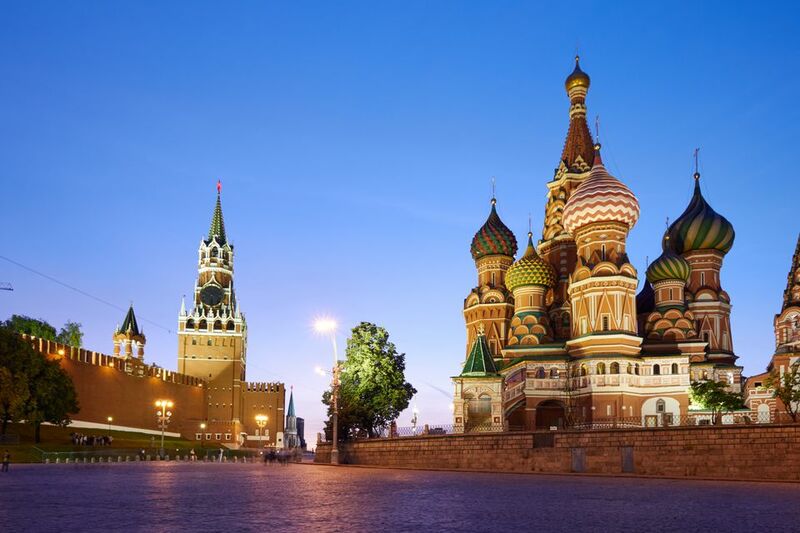 April is considered the off-season for tourism, meaning you'll likely find lower prices on airfare and accommodations in Moscow; however, if Easter is observed during the month, prices will increase during the weeks leading up to and following the holiday. While winter weather may persist into the early part of the month, many popular winter sporting attractions will already close for the season by mid-April; however, this also means that many spring and summer attractions will be opening their doors for the season.